Alan and Steven Davy, CONNECT researchers from WIT, at 'When Science met Business'. The CONNECT team at 'When Business met Science'. CONNECT research at Waterford Institute of Technology (WIT) and Tyndall National Institute was showcased at the ‘When Science met Business’ event hosted by the Southern Regional Assembly on Friday, 8 June. The event, held at ArcLabs in WIT, was organised in association with the Babson College Entrepreneurship Research Conference. Images courtesy of the Southern Regional Assembly, Managing Authority, ERDF Programme. The programme featured four CONNECT research projects, including two targeted projects dealing with smart agriculture and smart transport; a CONNECT spin out company, LiquidEdge, which extracts useful information for businesses from customers’ WiFi behaviour; and the VR Glove, a pre-commercial innovation with medical applications. One of the targeted projects to be showcased was SmartHerd, a collaboration with IBM, led by Dr Alan Davy at TSSG in WIT. The project researches software that will provide an early warning of lameness in cattle. With the cooperation of a local farmer, sensors have now been fitted to the legs of 150 cows, providing a rich supply of real-life data. The software could supply a farmer with a warning of lameness three days before any visual sign. This early detection allows the farmer to seek veterinary attention for the animal before the problem escalates into a more serious condition resulting in financial loss. Dr Brendan Jennings, CONNECT Principal Investigator, has been working on an intelligent transport system carried out in collaboration with Intel. 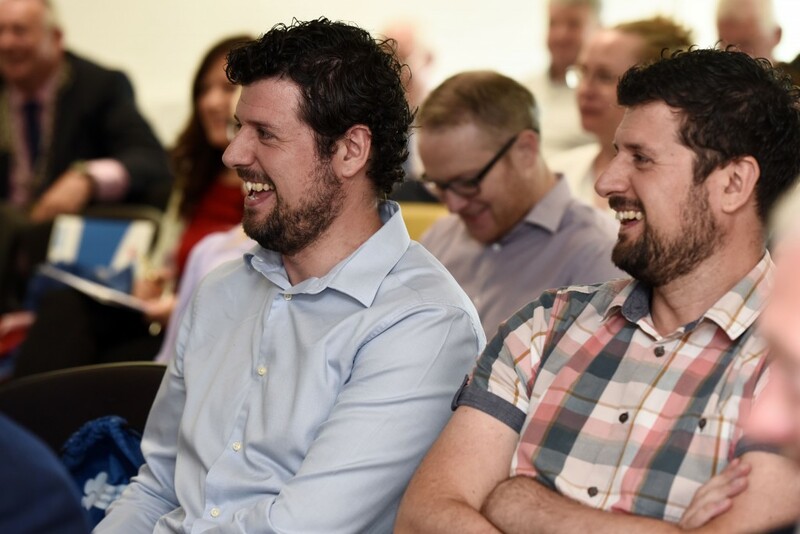 CONNECT spin out company LiquidEdge, led by Dr Steven Davy at TSSG in WIT, allows businesses to understand customer behaviour based on Wi-Fi usage. This, in turn, can maximise the impact of a firm’s marketing campaigns. A CONNECT innovation currently at pre-commercialisation stage was also demo’d. The VR Glove, developed at Tyndall National Institute, is a 3D hand motion capture device with haptic feedback for Virtual Reality applications. The glove is a motion capture and bio-mechanical modelling platform based on micro-electromechanical (MEMS) inertial sensor technology and high-definition haptic feedback to provide an advanced virtual reality experience. Its commercialisation could lead to its use by those living with Parkinson’s Disease and those dealing with the effects of stroke. 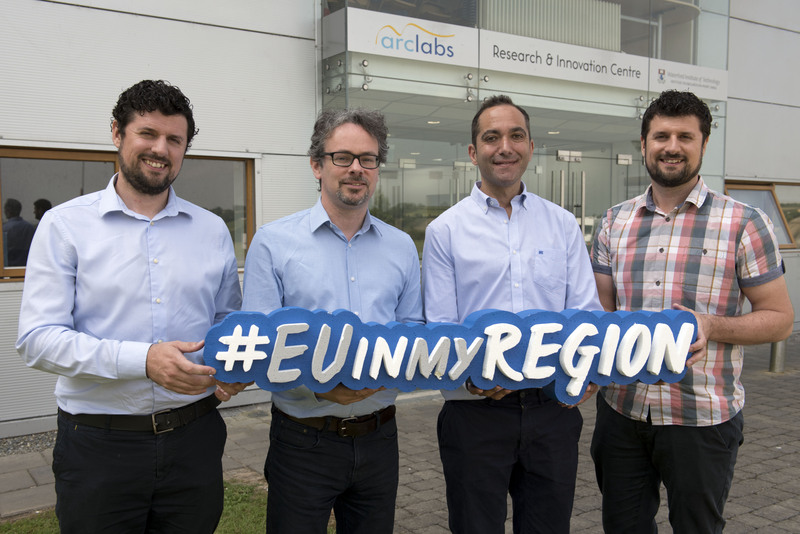 CONNECT is co-funded by the European Regional Development Fund (ERDF) which is managed by the Southern Regional Assembly. The Assembly is managing a €500 million regional investment programme running from 2014 to 2020. The programme is co-financed by the ERDF, and the Irish exchequer with Sustainable Urban Development co-funded by Local Authorities. The programme aims to impact positively on job creation, while fostering entrepreneurship and consolidating and building on the research, development and innovation expertise in the region, while providing supports to strengthen the links between third-level research and industry. “We are proud of the work we do in the Assembly, we don’t wish to hide our light under a bushel. All that we achieve in relation to this aspect of the regional programme is as a result of our partners, Enterprise Ireland and Science Foundation Ireland”. Stephen Blair, Director of the Southern Assembly, referring to the “impressive resource of third level institutes and research centres in the region,” commended, in particular, the work with industry partners, which is “paying dividends in multiples, strengthens the region as a location of choice, in which to invest, work and live”.